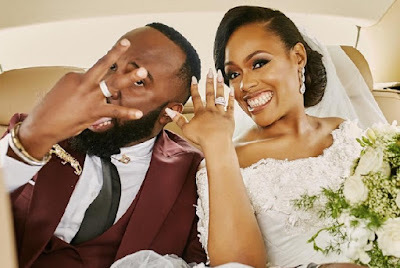 Media personality Noble Igwe and his wife, Chioma Otisi are celebrating their 2nd wedding anniversary today, June 11th. Two Amazing Years of Friendship. Two Amazing Years of Love. Two Amazing Years of joy. Two Million pack of cards,Blind folded I’ll pick you. I shine because of you. It’s Been Two years but your love feels like a lifetime. Love you like I loved Oxford Cabin Biscuits soaked in milk."